SUBJECT: I will proclaim "My Name"
Can you guess how God showed His glory to Moses? You would have never guessed. God showed His glory by proclaiming His Name to Moses. Can you see how strongly God feels about His SHEM, Yahweh? God could have done something else to show His glory. God chose to use His SHEM to reveal His glory. Then Moses said, "I pray Thee, show me Thy glory!" And Yahweh said, “I will cause all my goodness to pass in front of you, and I will proclaim My SHEM, Yahweh, in your presence. I will have mercy on whom I will have mercy, and I will have compassion on whom I will have compassion. 1. God’s glory is focused in His SHEM, Yahweh. 2. 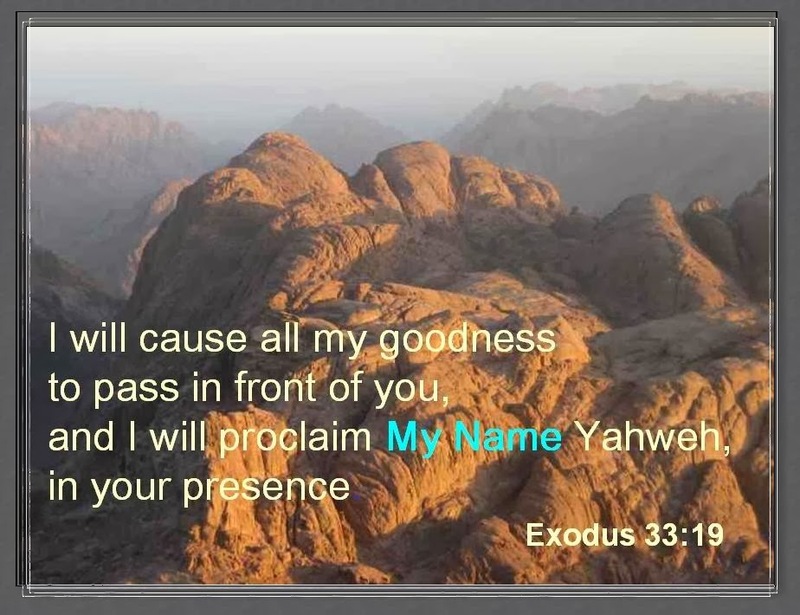 Yahweh’s glorious SHEM reveals His goodness, mercy and compassion. This truly motivates us to call on God's SHEM, Yahweh, in prayer.